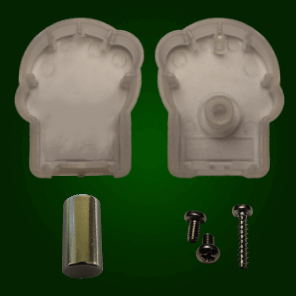 The SRX Encoder Hardware Kit contains all the replacement parts you need to reuse the magnetic encoder in alternate applications. Included are a new housing, magnet, enclosure & mounting screws. So don't be afraid to try different mounting solutions with the magnetic encoder.